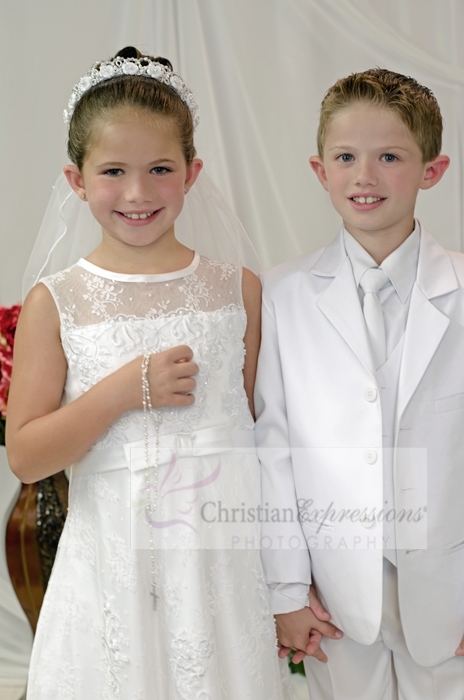 Flowers with pearls with satin semi loops first communion wreath/bunrwrap veil. 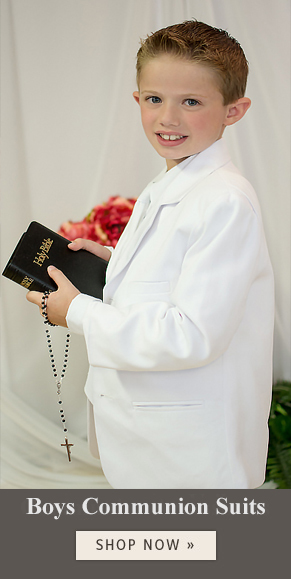 Two tier first communion veil is attached to headpiece and is adorned with scattered pearls. The back has organza bow with satin trim and curled streamers accented with center pearl flower.